Please include all potentially responsive materials, including but not limited to all communications, reports, inquiries, investigations, photographs, audio files, video files, memos, directives, etc. Please include all materials found in other subject files and all materials associated with any potentially-related names and any other known aliases, nicknames, code names, or any other identifying pseudonyms or references utilized by this agency. Please consult the Central Records System and records, the Electronic Surveillance (ELSUR) Data Management System and records, Microphone Surveillance (MISUR) records, Physical Surveillance (FISUR) records, Technical Surveillance (TESUR) records, and all available cross-reference indices, databases, and records, in addition to any other locations containing potentially-responsive materials. 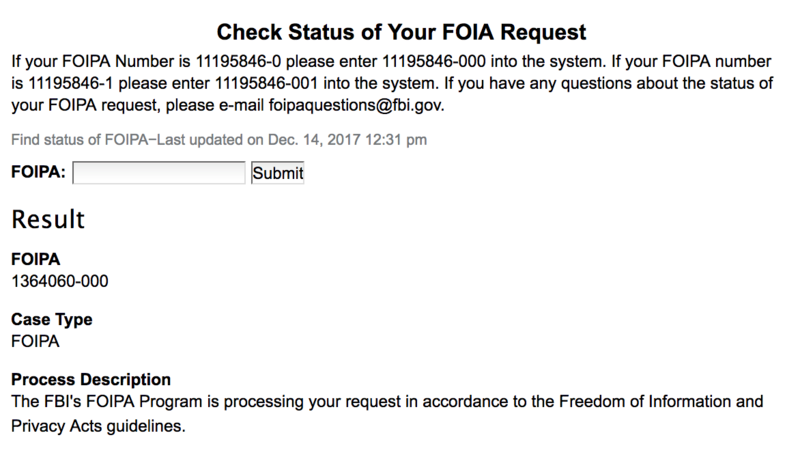 I wanted to follow up on the following Freedom of Information request, copied below, and originally submitted on Dec. 29, 2016. Please let me know when I can expect to receive a response, or if further clarification is needed. You had assigned it reference number #1364060-000. 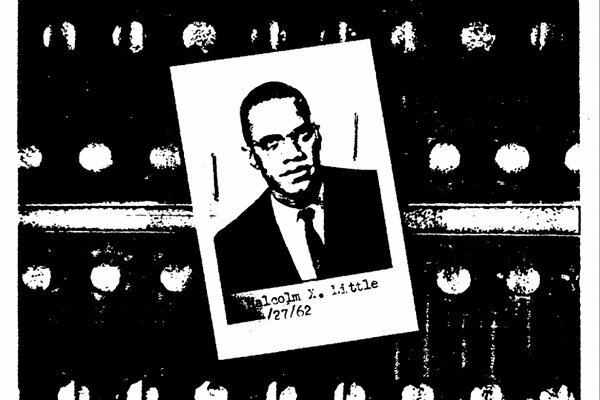 For future correspondence related to your request, please be sure to contact foipaquestions@ic.fbi.gov<mailto:foipaquestions@ic.fbi.gov>. The FBI's FOIPA Program has identified potential responsive information to your request(s) and awaits assignment to a Government Information Specialist (GIS) for further processing. I wanted to follow up on the following Freedom of Information Act request, copied below, and originally submitted on Dec. 29, 2016. Please let me know when I can expect to receive a response, or if further clarification is needed. You had assigned it reference number #1364060-000.